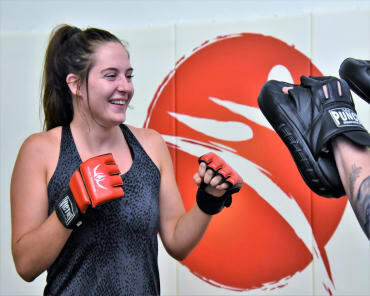 Desktop warriors, fighters, scholars and martial geeks have debated the topic for centuries – never coming to a real conclusion on what martial art is the “best”. Because the question is fundamentally flawed. See, it depends on how you define ‘best’. Competition? Self-defense? Physical training? Warfare? Weight loss? The answer will vary according to several factors; including your goals, physical potential, availability and mindset. In my opinion, the best martial art is the one you love to do. No matter what it’s called. In my case, it’s called Karate. The inherent variety found in Karate is amazing. 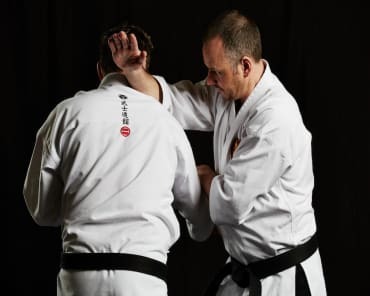 No matter what “style” you train, there’s always something new to learn or do – whether it’s kumite, kihon, bunkai, kata, kobudo or something else. 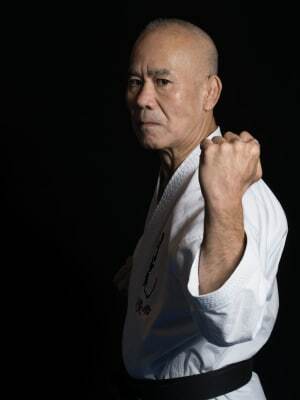 The cool thing is, although it’s rooted in traditional Japanese/Okinawan values and traditions, you can easily incorporate modern training methods and scientific concepts to amplify Karate’s effectiveness in all areas – even if you just do Karate for fun, health or simply as an “exotic hobby”. Focus pads? Use ’em. Conditioning/agility drills? Do ’em. Sports psychology? Apply it. There’s no limit to the ways you can use Karate to shape your own journey. The timelessness of traditional Karate makes it perfect for progressive coaches/sensei who wish to mold their students in any way. In fact, classical Karate is so adaptable that you can even use it to become UFC champion, like Lyoto Machida. Theory and practice go hand in hand. And, unlike many modern martial sports, Karate is also surprisingly safe. You will rarely get more than a bruise (or bruised ego) during training, and certainly not a broken jaw or neck – unless you train at a McDojo™ where profits are more important than safety. 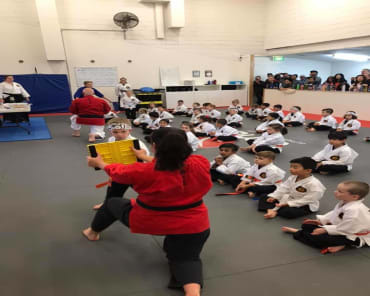 For this reason, Karate has become very popular with kids and older people in recent years. That being said, don’t fool yourself – if you enter a real dojo you should always be prepared to work hard and experience some pain. After all, Karate is a martial art. It’s safe, easy to learn, requires little space and is very effective if done right. Just make sure you do it right. Because “martial” always comes first. Lastly, here’s one of my favorite aspects of Karate. The culture. The language. The history. The philosophy. The people. Sure, I love physical training. But if that’s all there is, I would probably have quit a long time ago. You see, I’m a Karate Nerd™ – I want need more than just “punching and kicking” in a pajama. I need a deeper connection. That’s why Karate is so beautiful. It’s literally the brain surgery of martial arts. You will never fully learn everything there is to learn about Karate. The minute you open a proverbial door of knowledge, ten more doors appear. Although this can seem scary or daunting to some people, it’s the opposite for me: It makes me even thirstier for more knowledge about various old masters, concepts, Japanese words, philosophies and historical gems out there. Karate comes from a vastly different social setting and cultural context than you and me. That’s the last reason to why I think Karate is the “best” martial art in the world. And – at the end of the day – that’s all that matters.